Kan Herb Company is committed to protecting the personal information of persons who visit and use kanherb.com. This privacy statement applies to all information collected by the site or submitted for use in connection with the site and is part of the Terms and Conditions for use of the site. Your access and use of the site indicates your agreement to the terms of this privacy and security statement, as posted each time you access the site. Please review this privacy and securi ty statement periodically for changes. If at any time you do not agree to the terms of this statement, please exit the site. On this site, qualified persons and entities may voluntarily order products, make requests for product information, or apply and register for certain memberships, programs, or contests, as made available from time to time. 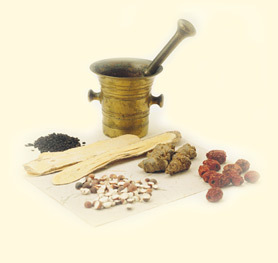 In order for Kan Herb Company to process any such orders, requests, or applications you may have to provide certain personal information, such as your name, email address, postal address, telephone number, credit/debit card information, password, credentials, and related information, as applicable. By voluntarily providing personal information to Kan Herb Company, you consent to the collection and use of the information by Kan Herb Company for the related activity and for the other uses set forth herein below. Kan Herb Company uses personal information to carry out the purpose for which the information was provided - for example, filling and shipping orders for products, mailing gift cards, providing product and service information, etc. Kan Herb Company does not share personal information with third parties except to the extent necessary to (a) carry out the purpose for which the information was provided, such as fulfilling and shipping orders; (b) comply with valid legal requirements, such as a law, regulation, search warrant, subpoena, or court order; (c) protect against property damage or a threat to personal safety; (d) protect the security or integrity of this site; and (f) avoid legal liability. To the extent Kan Herb Company is compelled to disclose personal information, it will use commercially reasonable efforts to notify all affected persons, unless doing so will violate the law or court order. Kan Herb Company encourages all of its business partners to adopt and adhere to standards of protection consistent with this policy. Promotions and Offers: Kan Herb Company may also use personal information to provide consumer health information; updates on Kan Herb Company products and services; sales and advertising materials; catalogs, newsletters, and special offers. Electronic Mail Advertisements: Kan Herb Company will not use personal information to send electronic mail advertisements except to those recipients with whom Kan Herb Company has an existing business or personal relationship or who have expressly consented to the receipt of such advertisements. Business Transfers: In the future, Kan Herb Company may be sold or acquired along with its assets, or other business transactions may occur in which personal information of customers is transferred along with other assets of the Company. Kan Herb Company will require that any such successors and assigns have appropriate physical, electronic, and managerial procedures to safeguard and secure personal information. You may withdraw your consent ("opt out") from receiving any information, sales and promotional materials, or special offers simply by contacting Kan Herb Company at customer@kanherb.com or by calling 1.800.543.5233 and requesting that no further information, materials, or offers be sent to a specific postal address and/or email address. Kan Herb Company will honor and process all such requests within a commercially reasonable amount of time after receiving the request. You may update or delete your personal information from our site systems by contacting Kan Herb Company at customer@kanherb.com or by calling 1.800.543.5233. Kan Herb Company will honor and process all such requests within a commercially reasonable amount of time after receipt of the request. PLEASE BE AWARE THAT IT MAY NOT BE TECHNOLOGICALLY FEASIBLE TO REMOVE EACH AND EVERY RECORD OF THE INFORMATION THAT YOU HAVE PROVIDED TO KAN HERB COMPANY IN ELECTRONIC FORM. Due to the nature of electronic record storage, a copy of your personal information may exist in a backup system that is in non-erasable form or that is difficult or impossible to locate. Notwithstanding, Kan Herb Company promises to take all commercially reasonable steps to delete all personal information in active and readily accessible and searchable media after receiving a request to delete personal information. The Non-Personal Information that is Collected - Use of "Cookies" and "Web Beacons"
Kan Herb Company or a third-party sponsor may collect anonymous, non-personally identifiable information from your visit to the site ("Aggregate Data"), such as your computer IP address, the type of software browser you are using to visit the site, the type of operating system your computer is using, the domain name of your Internet Service Provider, data about the number of times you visit the site, the Web pages visited and the emails and newsletters that we may have sent you, and information for targeting certain advertisements to your computer. Kan Herb Company or its sponsors may use Aggregate Data to monitor how many people are using the site (and for what purposes) or opening emails. In addition, Kan Herb Company and its sponsors may use Aggregate Data to determine the popularity of certain content and to customize information and services to you and other visitors to the site. Kan Herb Company or its sponsors may place a small piece of software ("Cookie") on your computer or embed a small graphic image file ("Web Beacon") in an email or on a Web page that sends the anonymous, non-personal Aggregate Data to us or a third-party sponsor. Your browser software used to visit our site can be set to reject all Cookies. However, certain features of our site may not function properly if you reject Cookies. Kan Herb Company will not link non-personal Aggregate Data with personal information. In addition, while Kan Herb Company cannot control its sponsors' Cookies and Web Beacons or manage how the non-personal data is used, Kan Herb Company requires that all of its sponsors agree not to collect any personal information from our site or link any non-personal data with any personal information without your consent. To prevent unauthorized access, maintain data accuracy, and ensure the correct use of information, we have put in place appropriate physical, electronic, and managerial procedures to safeguard and secure the information we collect online. For example, Kan Herb Company uses Secure Socket Layer (SSL) encryption technology for the transmission of personal information. To take advantage of this technology, your browser software must support 128-bit encryption. Personal Identification Information (Login Names and Passwords). You must also take precautions to prevent unauthorized access and use of your personal identification information, including, but not limited to, login names and passwords. For example, you should not disclose to anyone for any purpose your personal passwords or other personal identification information used to access and/or conduct transactions on this site. You are solely responsible for all results (claims, liabilities, and damages of any kind) arising from or related to your disclosure of your personal identification information to another person or entity, whether the disclosure was intentional or not. No Unauthorized Use of Another's Personal Identification Information. You agree not to use anyone else's personal identification information without proper authorization. If we learn that you are using someone else's personal identification to access and use this site, Kan Herb Company reserves any and all rights and remedies we may have or be entitled to, including the right to terminate your access privileges. Due to the nature of electronic communications and storage, these security measures may not prevent all loss, misuse, theft, or alteration of information collected from the site. THEREFORE, ALL USE OF THE SITE AND SUBMISSION OF PERSONAL IDENTIFICATION INFORMATION AND OTHER PERSONAL INFORMATION IS AT THE USER'S SOLE RISK. KAN HERB COMPANY IS NOT RESPONSIBLE AND ACCEPTS NO LIABILITY OF ANY KIND UNDER ANY THEORY OF LAW OR CAUSE OF ACTION FOR FAILURES OF SECURITY MEASURES OR UNAUTHORIZED ACCESS, USE, DISTRIBUTION, ALTERATION OR THEFT OF PERSONAL IDENTIFICATION INFORMATION OR OTHER PERSONAL INFORMATION. KAN HERB COMPANY SHALL NOT BE RESPONSIBLE FOR ANY DIRECT, INDIRECT, SPECIAL, INCIDENTAL, PUNITIVE, OR CONSEQUENTIAL DAMAGES ARISING OUT OF OR RELATED TO ANY FAILURES OF SECURITY MEASURES OR UNAUTHORIZED ACCESS, USE, DISTRIBUTION, ALTERATION, OR THEFT OF PERSONAL IDENTIFICATION INFORMATION OR OTHER PERSONAL INFORMATION. This site is not designed or intended to attract children under the age of 13. Kan Herb Company does not collect information from any person that it actually knows to be under the age of 13. Kan Herb Company reserves the right to change this privacy and security statement at any time. We will attempt to notify you by email of any significant changes affecting the use of personal information. We generally will not notify you of changes that do not significantly affect the use of personal information. We will post all changes of this privacy statement on Kan Herb Company's site for your review each time you visit the site. You should periodically review this privacy statement for changes.